To be Northern Europe's leading innovation driver and supplier of advanced textile solutions through the creation of a innovative, pro-active and learning organization. We genuinely care about our customers – we are service minded from the first contact, we listen actively, keep our promises, follow up and are pro-active in our communication. Every day we strive for client satisfaction and as a team, we are committed to delivering quality in time throughout the full value chain. We always ask ourselves what can be better done tomorrow and how to improve the client experience through continuous improvement of processes, technology and expertize of our employees. High integrity is at the very core of our business, no matter if it is how we interact with customers, what suppliers we use or how we treat our employees, environment or our impact on society in general. We are proud of our factories and our clients are welcome to have a tour of our departments anytime they like. "It is not about having ideas – it is about making ideas happen". That was the motto of David Engan when he founded Protex AS in 1961. More than five decades after and several hundred employees later David visits all sites on regular basis to make sure that we still live and breath the motto of making Protex and our customers ideas happen. In other words, making things happen is in our DNA. We can proudly say that our production and service departments are approved with the following well-known certificates and grants. ISO 9001:2008 sets basic requirements for the international quality management systems standards, demonstrating that Protex has installed management systems that fulfill given promises. In addition to the certification audits, we annually invite external auditors to monitor our system to make sure it's well implemented and corresponds to the developing needs of our customers. The leading certificate for Environmental Responsibility. and the most widely used certification scheme for enterprises seeking to document their environmental efforts and demonstrate social responsibility. During autumn 2018, Protex starts the implementation of Monitor ERP system. The system will increase the efficiency, continue to ensure our high quality and facilitate the next level of service and added value provided to our customers and partners. 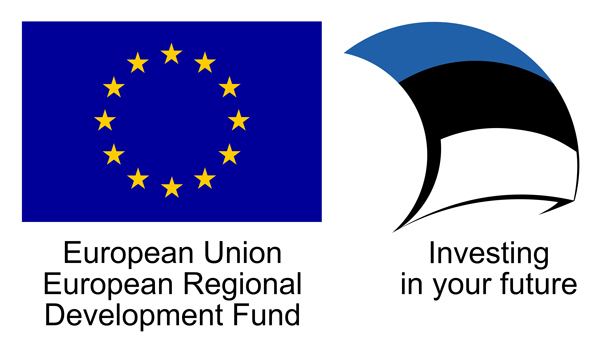 Between 2018-2019, EU Regional Development Fund is supporting Protex Balti AS Development Plan and the project with 43 905€.